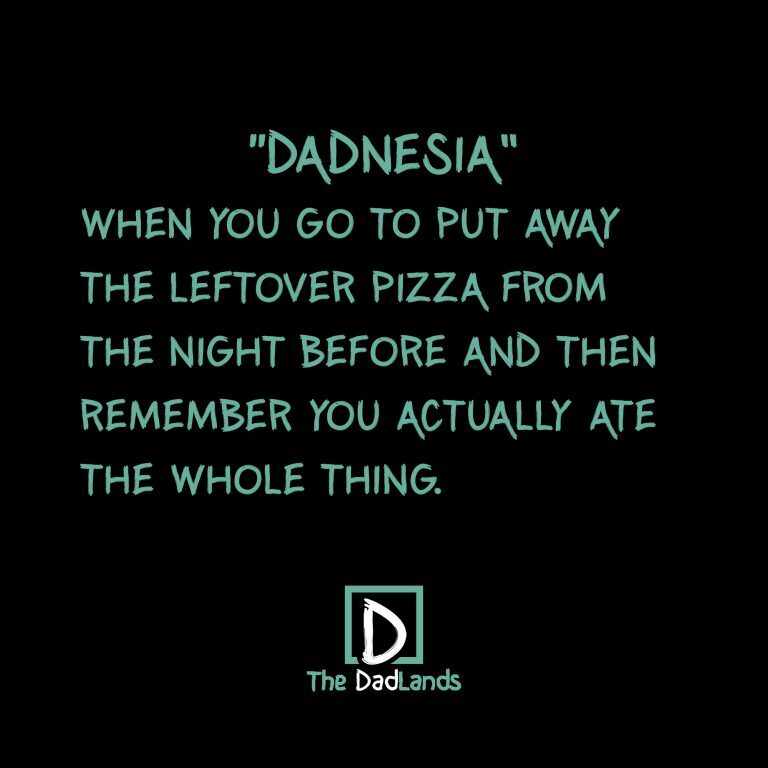 Dadnesia (dadˈnēZHə) noun. When you go to put away the leftover pizza from the night before and then remember you actually ate the whole thing. Symptoms also include mixing up your kids’ names, forgetting your promise to fix the bathroom cabinets, and never remembering your anniversary. Prognosis: incurable.